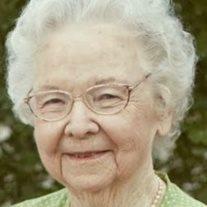 Lenore Hatch Whetten, 87, died Saturday, April 12, 2014 in Mesa, AZ. She was born May 21, 1926 in Solomonville, AZ to George Loren Hatch and Minnie Layton Hatch. She is survived by her husband of 33 years, Henry Alden Whetten Jr., daughter Patricia (Philip) Stapley, children; Jack Lowell (deceased), Steven Lowell, deceased (Claudia), Robert (Ruth) Lowell , Vernell Johnson, deceased (Ray), Dion Whetten, Stanley Whetten (deceased), Denise (Ron) Taylor, Kerry (Melanie) Whetten, Marva Sontag, deceased, (Greg), 29 grandchildren; 57 great-grandchildren. Lenore graduated from ASU in 1962 and taught in Mesa Publics schools for 19 years, she loved all of her students and could remember lots of them even into her 80’s. Lenore had many wonderful talents which included music (piano and organ), she was a talented seamstress, she loved working on her computer and she loved her iPhone! Most of all she dearly loved her family and her church. She was an active member of the Church of Jesus Christ of Latter-day Saints. She was a loving wife, mother, grandmother, aunt, and friend. She will be dearly missed by all who knew and loved her. Services will be Thursday, April 17 at 11 AM, preceded by a visitation at 10 AM, at the LDS 60th Ward, 2125 E. Adobe St., Mesa, AZ 85213. Arrangements by Bunker’s Garden Chapel.